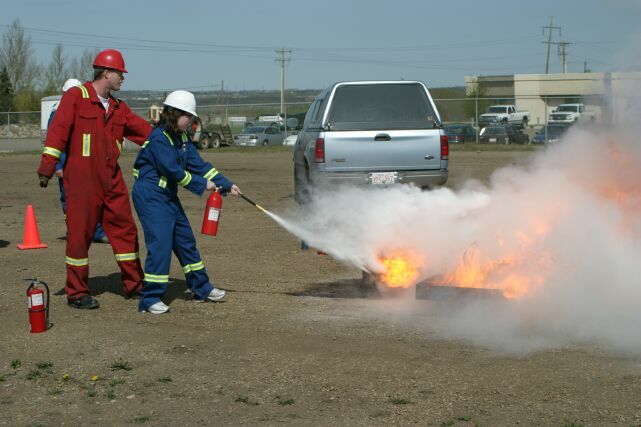 The Fire Extinguisher course is a 4-hour course and is intended to provide people with information on fire prevention, evacuation and suppression. Students will learn about fire sciences, what can be done to put the fire out, different extinguisher characteristics and the type and amount of fire a particular extinguisher is designed to put out. Finally we tie all the theory into a practice by allowing the student to extinguish a controlled (live) fire with an extinguisher. All persons who may have a fire extinguisher in their environment.